Need a quick lesson to add color? that all students can create with great success! Want the details to this lesson? FREE download of the lesson plan! Grab those placemats used for paintings that are filled with vibrant colors. These mats are so beautiful as non-objective art, and yes, as a typical hoarder I sift through them and keep some hidden for other projects. Here are a few awesome placemats I have kept. Now, grab the old tempera paint that needs to be used up and start painting repeated shapes on the placemats. Many of my students prefer squares or rectangles but have your students choose their colors and shapes. Next, start with a good opaque black tempera paint. I use Blick Premium Tempera. Paint the center of the flower. Don’t worry about the other paints not being dry because the black paint will cover nicely. Now add the petals. Remember to make them big! Next, add fun lines and patterns to the flower. and cut one inch strips from the painted placemats to frame these beautiful works of art. Have students pick a 12 x 18 piece of construction paper for background. Next, have them choose a couple of oil pastels to shade in the background. This creates a nice texture for the students to add the parts of the landscape. Students cut the painted paper placemats to create the ground. Bins of painted paper scraps are used for smaller details. Once the students cut the landscape details, glue the items down. Next, students paint with tempera paint to add more details on top of the painted paper shapes. Once dry, glue the projects on 18 x 24 construction paper and create a frame from one inch strips cut from the used placemats. 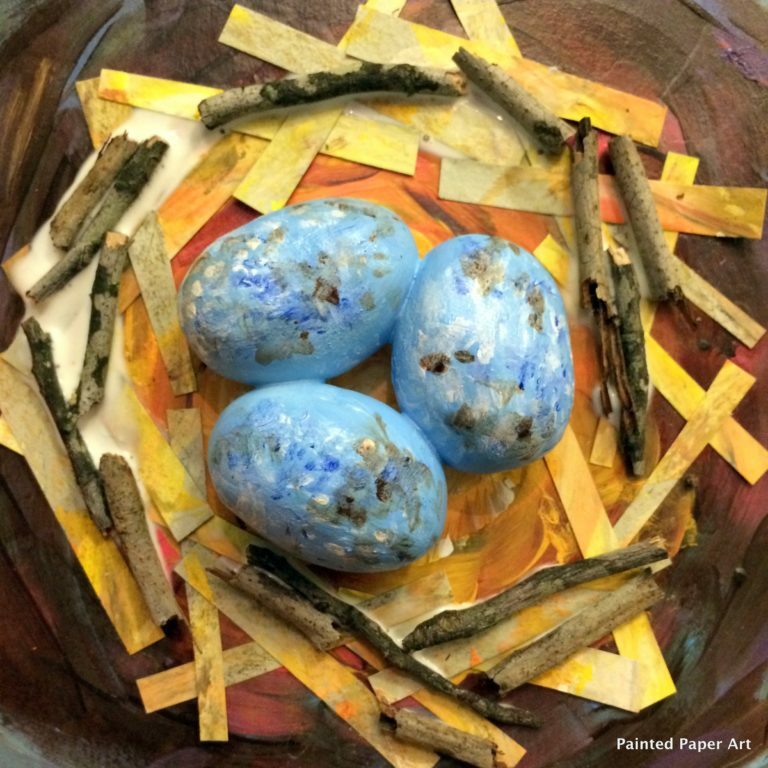 Hope these bright colorful projects inspire you to recycle while creating in your classroom! Love these projects, so bold and colorful! We're working on some mixed media cityscapes, utilizing old painted placemats (doodles and all) for our backgrounds. These are beautiful!!! Also loved hearing your podcast with AME! So inspiring! !